Whomp whomp. There're no Greed Labbits for sale. The artwork on this Labbit is wonderful. 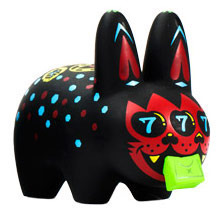 All of the Deadly Sins Labbits are unique and represent their sin well. Great artwork, great quality. Go this the same day I got Gluttony. I really want more. The colors are really nice. I need some more.